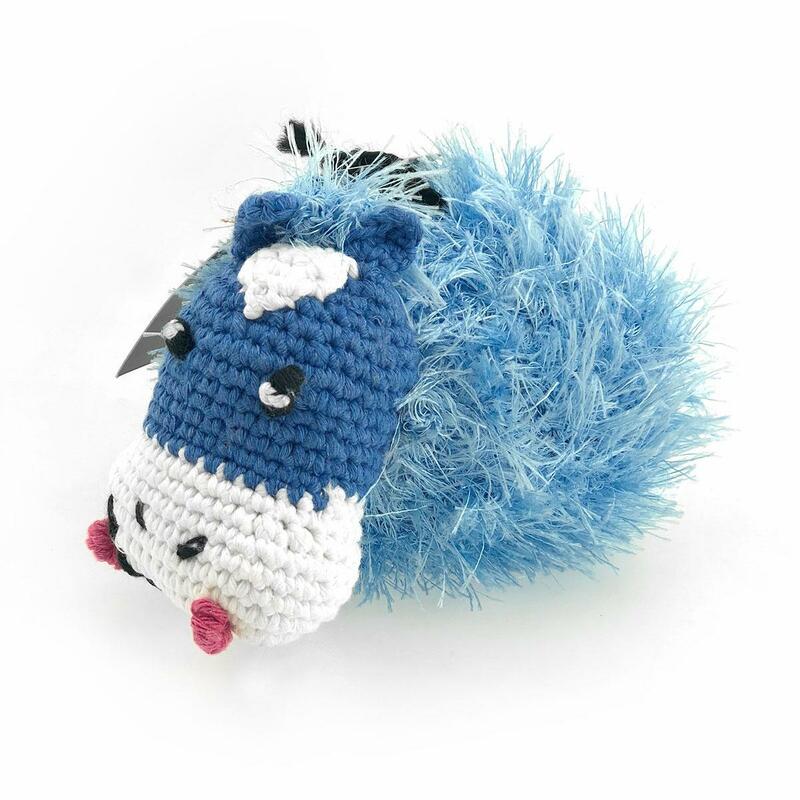 Get your pet something soft and sweet only an OoMa can make with love with this OoMaLoo Handmade Amigurumi Dog Toy Cow! Dogs will love palling around with this Squeaky OoMaLoo Handmade Amigurumi Dog Toy Cow. Hand-crocheted in 100% cotton it is washable and durable. All OoMaLoo toys are handmade with care for maximum durability. Medium design features and details are done in a contrasting yarn. Each dog toy contains at least one industrial-strength squeaker. These squeaky balls are made of non-toxic materials exclusively for OoMaLoo. Dogs love not only the texture of the toys but also the squeak. Toys are machine washable in cold water, gentle cycle; air dry only. OoMaLoo has been hiring women who can use their hand skills to generate income for their families. OoMaLoo pieces are handmade by women in poor, multi-ethnic neighborhoods of Istanbul. Doing needlework at home is one of the few ways these women have to earn income. With each beautiful item, they share a part of their history, their culture, and their lives. In the age of high technology and machines, we value the skill and knowledge of these women. We are proud to work with them, thus both preserving traditions and creating beautiful products for the modern world. *Please Note: No toy is indestructible. We strive to create interesting toys for your pet that are aesthetically pleasing to the owner as well. Toys are intended for supervised play by the average pet and its owner. Every attempt is made on our part to ensure that our products are well made and very secure. Additionally, we suggest that owners check toys frequently for loose pieces or a pulled thread. Please enjoy them with your pets responsibly. Very helpful agent to aid in my needs.